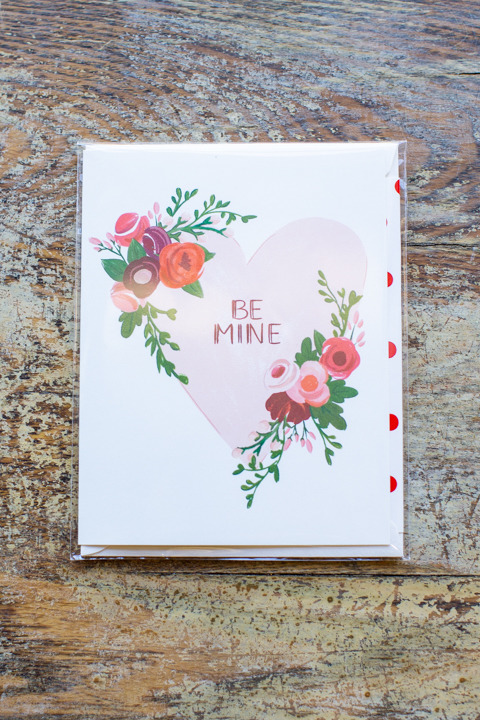 The Be Mine Card is a sweet little pink heart with the words "Be Mine" in a red block font. 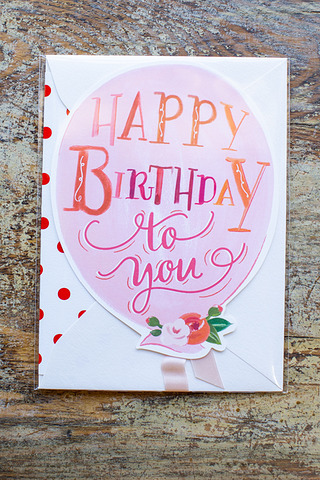 The sprays of of pink and red flowers pop against the cream card stock. 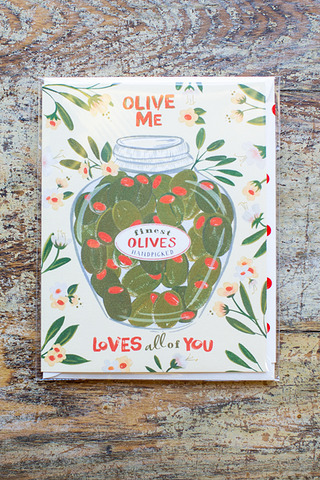 This greeting card is left blank for you to write you own special note to that loved one. Made by The First Snow. 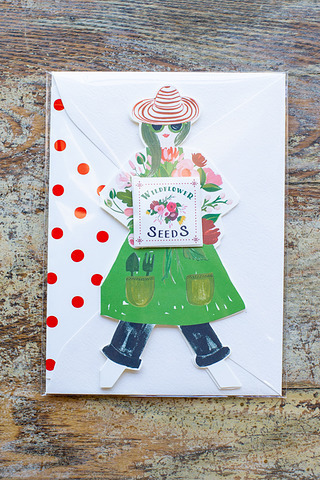 Cream envelope with cream lining and red polka dots.